Imagine a house whose lighting anticipates your mood. Not a morning person? No problem. Your lighting will be set to a dimmed setting in the morning and gradually increase brightness over time to wake you naturally, like a sunrise. As your day continues, lights go out in rooms that aren’t used, saving on your energy bill. Starting a movie? Lights go out, automatically. Having a party? Set your theme for outdoors, perhaps orange for Halloween or green and red for Christmas. Coming home from work, your lights will sense the presence of your smart phone down the street, and turn on the outdoor lights to light your way. Indoor lights go on as needed for your safety and convenience. Finishing your day, lights will turn off automatically, no getting up to turn off a light you forgot about. Want to program your lights before vacation to make it look like you are at home? Or turn them off remotely because you can’t remember if you turned off all the lights? All of this can happen when lighting becomes part of the Internet of Things (IoT). GE Link—GE, a founding partner of the Quirky and Wink initiatives to build a smarter home, announced their smartest bulb in the box in June called Link. Link is a new and affordable connected LED bulb that lets consumers remotely control their home lighting from anywhere in the world and sync it with other connected devices. Enabled by their new Wink app, Link eliminates the need for expensive add-ons typically associated with connected devices. GE’s Link LED lights come in three form factors, A19, BR30 and PAR38, and are being sold at Home Depot for as low as $15. Considering LED light bulbs last 50 times longer than an incandescent, use less energy and don’t need to be replaced for up to 15 years, the prices are already reasonable. The HUB plus 2 GE Link 60W-equivalent soft white (2700K) A19 connected home LED light bulbs are currently priced at $49.94. Osram Lightify — Lightify, by Osram Sylvania, displayed at Light+Build 2014 its host of solutions and products that provide a wide range of lighting possibilities using an app on a smartphone or tablet. 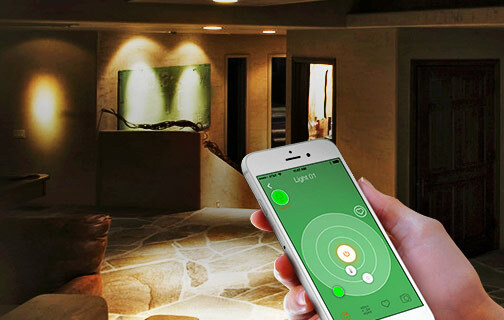 Lightify works with other installed lighting systems from manufacturers that support the common ZigBee Light Link standard or Home Automation standard. Lightify enables living rooms, workrooms, as well as balconies or gardens, to be bathed in a wide variety of light atmospheres, which can be scheduled or controlled from a smartphone or tablet. This allows more dynamic flexibility to throw off burglars or to adjust for the seasons versus standard time clock devices. OSRAM began selling these products Sept. 1 in major European retail stores and online. Belkin WeMo — Belkin announced its smart lamp developed on its WeMo ecosystem at the Consumer Electronics Show this year. The WeMo Smart LED Bulbs are warm, bright light bulbs similar to traditional 60-watt incandescent, yet only consume 10 watts of energy and produce very little heat. These bulbs help reduce the amount of energy used and decrease cooling costs. It has a life expectancy of up to 23 years (based on three hours of daily usage.) The WeMo LED Lighting Starter Set lets users access and control WeMo Smart LED Bulbs from anywhere, using an existing home Wi-Fi network and mobile Internet. Users can dim lights, turn them on or off, or create a custom schedule. WeMo Link even allows users to connect up to 50 Smart LED Bulbs and control them individually or as a group. The Belkin WeMo LED Lighting Starter Set, containing two WeMo Smart Light Bulbs and WeMo Link to control multiple WeMo bulbs from anywhere and Wi-Fi enabled (F5Z0489) are currently being sold on Amazon at $99.99. And what do all these products have in common? Marvell technology. Marvell is in a unique position as the only semiconductor supplier to offer a full end-to-end digital-connected lighting solution platform including LED controller chips, Zigbee microcontrollers, WiFi-ZigBee gateway solution and Kinoma UI software. 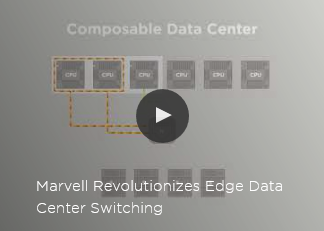 Marvell is staying on the leading edge of the technology by offering innovative LED driver technology, best-in-class ZigBee and WiFi microcontrollers and an end-to-end smart wireless platform built on top of these technologies. Marvell has also taken leadership in establishing ecosystem support for these products. Marvell has worked with manufacturing partners and system integrators, who provide software integration services, so that brand-name OEMs and retailers, can bring new and exciting lighting and home automation products to market, based on Marvell technology, more quickly. Beyond connected lighting, the scalable platform also enables this same embedded technology to include sensors that can detect for example, open or closed windows and doors, motion activities throughout the house, water leakages and more, to give end users a lower cost security system that reports directly to mobile devices. Imagine a sensor technology that could also alert you if there’s a water leak anywhere in the house. (Because when does your hot water usually break? When you are on vacation!) These are just a few examples of how IoT is at work in lighting and home automation to add conveniences to your life – that you never knew you missed.